FCE (англ. First Certificate in English, известный как Первый Кембриджский сертификат)- экзамен по английскому языку, разрабатываемый и проводимый подразделением ESOL экзаменационного совета Кембриджского университета (UCLES). Срок действия сертификата FCE бессрочный. Впервые FCE был предложен в 1939 году под названием Lower Certificate in English. С тех пор он многократно изменялся. Последний пересмотр содержания произошёл в 1996, изменения были приняты в 2002, а также в декабре 2008 года. The FCE, commonly called “First”, is without doubt the best known of the Cambridge exams. It allows for official recognition of a superior intermediate level of English (level B2 of the Common European Framework of Reference for Languages). Who is the FCE (Cambridge First Certificate in English) for? The FCE is strongly recommended for anyone who plans to work in international business or to study and/or work overseas. Performer FCE Tutor Student's Book - Marina Spiazzi, Marina Tavella, Margaret Layton. Lingue Zanichelli. 2012. The course for the preparation of FCE certification thathas a thematic parallelism and typological with Performer Culture & Literature, the renowned English course that responds to the new needs of the school, integrating in a harmonic and motivating the study of culture, literature and language (level B2). FCE CAE Speaking Test Guide - This guide will walk you through the best ways of approaching the different parts of both the FCE and the CAE speaking paper of the Cambridge English examinations. It includes a compilation of tips , techniques and general advice from Cambridge examiners on what to do to pass the speaking test.It also contains Dos and Dont’s tables for each part of the exam. A large number of pictures and visual prompts for Part 2 and Part 3 have been included. They will help you prepare without needing to resort to other books. This guide is ideal for any student of English who wants to pass the speaking paper of the FCE or the CAE Cambridge English examination. FCE Practice Tests with keys - FCE Practice Tests faithfully recreates the Cambridge English: First (FCE) examination in both paper and computer formats giving students plenty of opportunities to accustom themselves to the tasks required. Practice Tests - complete paper-based tests, the first guiding the student through the individual sections. Full colour photographs prepare the Speaking Paper. 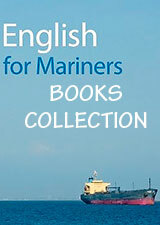 FCE Use Of English 1, 2 Full Set - Virginia Evans - Express Publishing. 2008. Практическое пособие для подготовки к экзамену FCE, но будет полезно всем изучающим английскую грамматику на уровне Intermediate и выше. Также подойдет для подготовки к ЕГЭ. Цель пособия – помочь понять и правильно использовать английскую грамматику. Материал структурирован по темам и сложности. FCE Use of English is intended for students preparing for the Cambigde ESOL FCE/Michigan, ECCE exams as well as other examinations at the same level of difficulty. The teacher's book for the Student's book contains the answes overprinted on the relevant pages of the Student's book as well as optional tests. FCE Key Word Transformation Made Easy - The Key word transformation tests a wide range of different grammatical structures and vocabulary. You must show your ability to paraphrase using the key word and, most importantly, keeping the meaning the same. The difficulty lies on the great variety of grammatical structures that you need to learn in order to do this part of the Use of English exam successfully. You will be required to use structures such as passive tenses, conditional clauses, reported speech, causative verbs, inverted sentences, comparatives and superlatives, phrasal verbs, idioms, set phrases, etc. The book that you have in front of you will help you with that. FCE Listening and Speaking Skills for the Revised Cambridge FCE Examination LEVELS 1+2+3 - Full Set: Listening part, Speaking part, TB, Audio - Virginia Evans, James Milton. Publisher: Express Publishing. 2002. This book provides systematic development of students´ listening and speaking skills. It also offers excellent preparation for the revised First Certificate Examination or any other examinations at the same level. The Teacher's Book accompanies this material. FCE Listening and Speaking Skills for the Revised Cambridge FCE Examination + FCE Practice Exam Papers Full Pack - Virginia Evans, James Milton. Publisher: Express Publishing. 2013. The book is divided into two parts: Part A consists of ten complete listening tests. The recordings are based on authentic listening material and make use of various accents and sound effects. Part B consists of ten speaking tests and covers a wide variety of topics such as holidays, entertainment, etc. Each Speaking Test is preceded by a Preparing for the Speaking Test section. In this section, students are familiarised with the essential language (vocabulary, useful expressions, discourse markers, etc) and ideas necessary for the test itself. Students are also trained to organise their speech coherently and to display an appropriate variety of linguistic resources. There are also two additional Speaking Tests at the end of the book to prepare students to meet the requirements of the exam.. Class Audio CDs include instructions, pauses and repeats, creating genuine exam conditions. FCE for Schools Speaking Preparation Pack book + video. This Speaking Test Preparation Pack for First for Schoo!s has been specially created to help you to prepare your students for the Speaking test (Paper 5} of the First Certificate in English for Schools. Written Ьу experienced Speaking test examiners, it consists of: а book containing comprehensive Teacher's Notes and а set of eight Student Worksheets that provide detailed practice for all parts of the First for Schoo!s Speaking test candidate visuals to allow you and your students to practise with realistic visual stimuliаte DVD showing real students taking а Speaking test to give your students а clear idea of what to expect on the day. Successful FCE 10 Practice Tests 2015. 10 Complete Practice Tests for the Cambridge English First - FCE. Self-study edition with a Self-Study Guide that includes: a Writing Supplement with sample answers with examiner comments, detailed JUSTIFICATION of the Answers for the key parts of each practice test, Audioscripts, Key & MP3 Audio CD. A very useful resource for FCE teachers ans students. FCE Fast Class: Reading, Writing, Grammar, Vocabulary - With Answers. This book prepared for students to practise their grammar, vocabulary, reading and written English skills at the early stage of FCE. It includes: Grammar Practice, Grammar Reference, Reading, Key Word Transformation, Vocabulary, Writing, Answer Keys. Reading Comprehension for the FCE Examination - 1999 - This book provide students preparing for the Cambridge FCE Examination with step-by-step guidance and	practice in all parts of Paper 1. It systematically helps students develop and improve their reading skils necessary to succeed in the examination. FCE Practice Tests Extra, written by an experienced author, teacher and examiner, provides complete exam preparation and revision for the Cambridge ESOL First Certificate in English 2008 specifications. Practice Tests with revision lessons and 3 free audio CDs. ACCESS to FCE Students and Teachers books - Clear, simple presentation of grammar with detailed reference tables and explanations. Extensive and varied exercises after the presentation of each grammar point giving plenty of practice of what has been taught. Special vocabulary units concentrating on phrasal verbs, prepositions, word formation and words easily confused. Ten complete Use of English practice tests. TARGET FCE 1 and 2 Full Pack - 2010 - Bess Bradfield - Richmond Publishing - Target FCE is a dynamic new First Certificate Exam preparation course that combines essential exam practice, tips and strategies with thorough language and skills development. Revolving around 12 key exam topics and including realistic exam practice for all five papers in every unit, Target FCE offers an effective and fun route to exam success. The engaging texts, a focus on personalization and excellent teacher support make it easy to plan lively, communicative classes. The Student’s Book provides 90-120 hours of core material. The engaging texts, focus on personalization and excellent teacher support make it easy to plan lively, communicative classes, while the rigorous exam training and practice ensures students are thoroughly prepared for their FCE exam. FCE Practice Tests 2010 Full Pack - 2010 - Diana L Fried-Booth - Richmond Publishing - This book consists of five tests for the new First Certificate in English from the University of Cambridge. It provides all the practice students need to sit the exam with confidence. 5 complete practice tests, visual material for speaking tests and photocopiable answer sheets. Packed with CD-Rom containing computer versions of the 5 tests plus 2 additional tests. The CD-ROM contains computer-based versions of the 5 tests in the Student’s Book, plus 2 extra tests, making 7 complete practice tests. It is ideal for preparing students for the Cambridge ESOL computer-based exam. It includes the listening material to all the tests in the SB. The Teacher’s Resource Book contains exam information and tips, full answers, full transcripts for the Listening paper, model answers with examiner comments for the Writing paper, colour visual material for the Speaking paper. Spotlight on FCE Students book + audio and Spotlight on FCE DVD ISO - prepares students to be fully aware of how the exam works and how to be ready to pass it. It consolidates and builds on essential areas of grammar and vocabulary. It also develops the speaking, reading, writing and listening skills required to pass. Spotlight on FCE also works well with the new online preparation course My FCE, which offers over 40 hours of additional test preparation. The DVD Video presents a typical FCE Oral Exam. How to Pass FCE: Exam Practice in Reading - Brian Orpet - Focusing on reading (FCE Paper 1), this is one of four titles which provide students working on their own with question-and-answer practice for the First Certificate English exams. The questions are graded, so that students can take themselves in easy steps up to FCE level in each part of the paper. Explanations of answers are included as well as examination tips and advice on preparation. There is also guidance on self-assessment so that students can judge for themselves how well they are progressing. Reading Techniques for FCE - is for students at upper-intermediate level who wish to improve their general reading skills in English and/or work specifically towards Paper 1 of the revised FCE. The book can be used to supplement a coursEbook at this level, and is suitable for use in the classroom, for homework, or for self-study. This is the edition with key. Mastering the FCE Examination SB + Audio. Adrian Simmons. Burlington Books. Contains: 10 full length tests, 10 vocabuulary reviews (1 per test), 3 cumulative vocabulary reviews, glossary in Greek) & index, extra practice on key word transformations. Missing pages 211-260 is tapescripts section. FCE Testbuilder for the revised 2008 exam - Book + audio + key - This popular series is designed to help improve students' exam performance. The exam-based exercises will familiarise any student with the tasks they will face in the test, boosting their confidence and leading them towards successful results. Ideal for self-study or classroom use, the KET, PET, FCE, CAE and New Proficiency Testbuilders are available with or without the answer key. The answer key also includes clear explanations and analysis of model answers. FCE skills Reading SB + TB - Malcolm Mann - Macmillan. Composition development, guiding students through the production of a specific piece of writing. Model compositions, achievable by First Certificate students and actively used in tasks. Exam practice, giving students the chance to practise what they have learnt as homework. Updated for the 2008 exam. SKILLS for First Certificate Listening and Speaking Full Set - Malcolm Mann - Macmillan.provides thorough and comprehensive training in language and exam skills for students preparing for the Cambridge First Certificate in English exam. Each of the four components Writing, Reading, Listening and Speaking and Use of English has a Student's Book and a comprehensive and easy-to-use Teacher's Book. SAYit! FCE CdRom - A multimedia course for the students aiming to take the First Cirtificate Exam. Contains 12 theme-based units referring to each of the exam parts. In total: 90-120 hours of learning; 8000 words and phrases; 15 hours of listening material. Macmillan Mission FCE Full Pack - is a motivating CoursEbook with a challenging approach for students preparing for First Certificate Exam in English or any similar examination - the perfect combination of language development and extensive exam training for all five papers (Reading, Writing, Use of English, Listening and Speaking). Mission 1 is intended for intermediate learners. CoursEbook contains bright pictures and provides with grammar and speech exercises. Test and revision sections also are available. First Certificate Language Practice - book - 2003 - Michael Vince - Macmillan. This text revises the main grammar points at the level of First Certificate as well as providing practice in key lexical areas. The book can be used as a self-study reference grammar and practice book or as supplementary material in classes preparing for examinations. First Certificate Language Practice New edition - book + CD-ROM + Teacher's test CD - 2009 - Michael Vince - Macmillan. Курс First Certificate Language Practice Macmillan представляет собой практическое пособие по лексике и грамматике английского языка и по своему содержимому ориентирован на основательную и качественную подготовку к сдаче экзамена FCE. Использование пособия возможно как при самостоятельной подготовке, так как ответить на вопросы, которые при этом возникнут, помогут ключи в конце издания, так и во время работы в классе с преподавателем. First Certificate Passkey Grammar Practice - Macmillan - Part of a course for the revised Cambridge First Certificate English (FCE) examination. This book aims to provide a combination of motivating material and systematic development of language and exam skills consists of 12 topic-based units. First Certificate Passkey has twelve topic-based units containing a variety of stimulating and original material to involve students in effective learning. Ready for FCE Second Edition Full Set - Roy Norris - Macmillan, 2008. Ready for FCE is a comprehensive course which offers thorough preparation for the Cambridge First Certificate in English examination. All four skills are systematically developed and practiced in each unit, while in-depth exam training is given in the form of regular 'What to expect in the exam' and 'How to go about it' help boxes. This step-by-step approach ensures that students will be fully prepared and confident when sitting the First Certificate exam. Exercise Book for Focus on First Certificate. Ankara, 1993. This material is useful for upper-intermediate or FCE level learners of English. It can also be used to practice upper level grammar and cloze test procedure. The book was originally published without an answer key. The answer key was added later with the help of my colleagues. First Certificate Organiser - This exam preparation and revision text for the First Certificate exam employs a two-page format - the left-hand pages provide FCE practice and the right-hand pages organize the language just covered. This edition has been published to accompany the revised First Certificate Examination. Exam Essentials First Certificate Practice Tests Full Pack - Exam Essentials First Certificate Practice Tests Book includes: Fully guided tests with essential tips followed by six complete tests, Special sections on the Speaking paper in full colour, includes additional helpful phrases and expressions, Separate writing bank with fully written out model compositions, useful language and notes on content and organisation, Objective mark sheets that enable students to practice copying their answers as in the actual exam.